Things are starting to look worse and worse for Broadcom’s attempts to take over Qualcomm. The Committee on Foreign Investment in the U.S. sent a letter to the two companies over the weekend saying that it expects to make a ruling soon, and it doesn’t sound like Broadcom has convinced CIFUS that the acquisition doesn’t threaten national security. Meanwhile, Qualcomm also seems to have an unlikely ally in its attempts to evade Broadcom’s hostile takeover attempts. Intel has expressed interest in acquiring Broadcom, and analysts believe that could go a long way toward convincing it to give up on acquiring Qualcomm. CIFUS gave Qualcomm and Broadcom a deadline of today to turn in any additional information they wanted to submit to build their case. The Treasury official who wrote the letter to the two companies also said that they have sped up their investigation because of Broadcom’s move to redomicile in the U.S. Officials had told the chip maker to provide a notice of five business days before taking any step in that direction, but they said it has violated that order. The chip maker’s move to redomicile in the U.S. would essentially remove CIFUS’ jurisdiction over its hostile bid because it would no longer be a foreign firm trying to acquire a U.S. company. Since the committee announced earlier this month that it was investigating the hostile bid for Qualcomm, Broadcom has sped up the redomiciling process, according to The Wall Street Journal. Today the chip maker announced that it was shifting the finish date up to April 3 from May 6, which it previously expected the process to be finished by. According to a statement it sent to Reuters, the chip maker maintains that it is still complying with CIFUS’ order about redomiciling, although the U.S. Treasury Department states that the company has violated it. Still, CIFUS could pass the decision over whether Broadcom would be allowed to acquire Qualcomm on to President Trump. Now Intel has invited itself to the party, and The Wall Street Journal explained why it would be concerned about a combination of the other two chip makers. Sources reportedly told the WSJ that Intel has been looking into making a bid for Broadcom since late last year as a way to keep the company from acquiring Qualcomm. If the two companies were combined, it would bring the leading chips for smartphones together with a strong data center business, and those are both markets Intel is targeting. But would Intel still pursue Broadcom if CIFUS calls off the Qualcomm deal? After all, that would keep the two chip makers apart, as Intel wants to do. Macquarie analyst Srini Pajjuri said in a note that the ideal of an Intel-Broadcom combination isn’t very far-fetched. He considered whether Intel’s interest is purely aimed at keeping the other two chip makers apart, or whether the company really is interested in acquiring Broadcom. He said if the interest is genuine, Broadcom’s Networking and Storage businesses would fit in well with Intel’s business. Further, he believes Intel has considered buying the Singapore-based firm before, pointing to a regulatory filing from 2015 in which Broadcom held acquisition talks with four unnamed firms, of which he believes Intel was one. 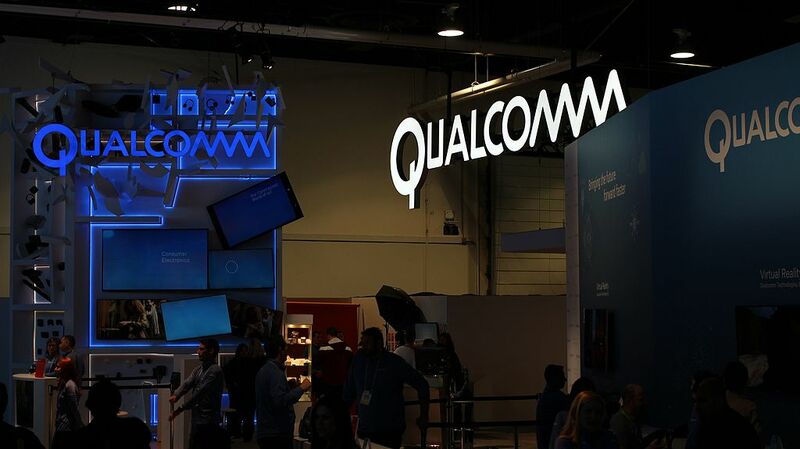 Ultimately, he doesn’t believe any deals will be done in the space because he thinks CIFUS will either block the hostile bid for Qualcomm or will require such extraordinary measures that the other company will walk. Further, he thinks the threat of a bid from Intel just makes it more likely that Broadcom will walk.